Mille Lacs Corporate Ventures, owner and operator of Grand Casino Hinckley and Grand Casino Mille Lacs, is a casino, hotel and non-gaming operations business in east-central Minnesota. Grand Casino Mille Lacs and Grand Casino Hinckley play an important role in rapidly diversifying Mille Lacs Corporate Ventures portfolio, so their business operations must be kept top-notch to allow continued growth. After recognizing that their current devices were reaching end of life, Grand Casino knew that they needed to expand the capabilities of their copiers and printers and provide additional functionality to their end users. 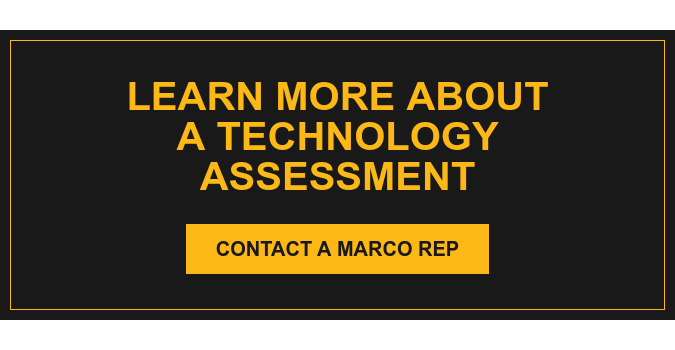 After a thorough Request for Proposal process, a decision was made to partner with Marco, due to their long-standing trusted relationship and great performance. Between their toner costs, replacing capital assets and reducing power consumption, Grand Casino has been able to save a significant amount of money. Tim Johnson, Director of IT Service Operations for Mille Lacs Corporate Ventures, met with Marco Technology Advisor, Ben Drewes, to discuss what the end goal was, and how they would get there. “Ben is so responsive and on top of things,” said Johnson. “The communication is awesome.” After determining their main needs for the elimination of printers and supplies, implementation of software to monitor and track print costs and lower power consumption, Marco provided the tools and resources to meet all deployment requirements. The copier solution has provided Grand Casino with mobile printing functionality, color printing availability from 95% of the copiers and reduced technician labor costs for time spent servicing printers. In addition, centralized printing allows end users to send a print job to a central queue and print from any network printer. The implementation of the NSI Autostore application has eliminated scanners, while increasing productivity for users by acting as an interface with their Laserfiche document scanning solution. To monitor their printing costs, Marco suggested implementing PaperCut, a software solution that helps reduce printing costs and utilizes employee ID card scanning to release a print job. To watch their costs in real-time, a large monitor was installed to display a dashboard. The dashboard tracks the page counts, can run customer reports and monitors all printing throughout the organization. PaperCut also tracks the number of prints per user, and the casino has been able to reduce prints by determining high print count users. To keep the company ahead of new technology, regular quarterly meetings are held between Mille Lacs Corporate Ventures and Marco to discuss what they currently have in place, and to determine if there are any new upgrades that could benefit their organization. Mille Lacs Corporate Ventures continues to expand in the types of businesses they own and geographically. With their expansion, they hope to continue to leverage what Marco has provided them in their other areas.